Welcome to this month's special Carers Rights Day Bulletin celebrating the carer awareness raising campaign by Carers UK. The Carers Trust Heart of England will be taking over the foyer of UHCW, taking over the screens with carer support workers on hand to answer any questions, take referrals and discuss support. Social workers and social care staff have been asked to submit their stories around the importance of supporting carers well. The Principal Social Worker and team will be visiting the Milan Carers Group to find out more about what carers experience and in the afternoon an interactive session will be taking place to support practitioners in meeting carers needs. You can read their blogs in this section. Midland Mencap and Partners for Carers are teaming up with the Belgrade Theatre to hold a Carers Rights Day event, with refreshments and free hand and neck massages. There is more information on their website. Over 32,000 people in Coventry consider themselves carers however many may not be aware of the support advice and benefits available they are entitled to. Carers’ Trust Heart of England, a charity who provide support and advice to registered carers in Coventry and Warwickshire, and Coventry City Council are partnering to raise awareness of Carers Rights Day that takes place on the 30 November. Carers Rights Day is a national campaign which brings unpaid carers, support charities and local communities together to help carers understand their rights and the help and support they have access to. These rights can include asking for flexible working or unpaid time off work in an emergency or receiving financial support such as Carers Allowance for carers who spend 35 hours a week caring. Sonja Woodhouse, Chief Executive of Carers Trust Heart of England said: “As a carer you can feel really alone, that you’re the only one in that position, but you are not alone. “We are here to support and advise you and help you to meet other carers who understand how rewarding, exhausting and vital caring for someone is. Pete Fahy – Director of Adult Social Care: “Not only do carers provide on-going care for a loved one, carers make on-going sacrifices to make sure they can care, giving up time, work and sometimes valued relationships. 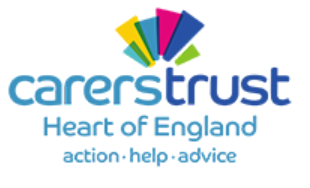 At Coventry City Council we are dedicated to supporting carers well, we work closely with the Carers Trust Heart of England to achieve this. 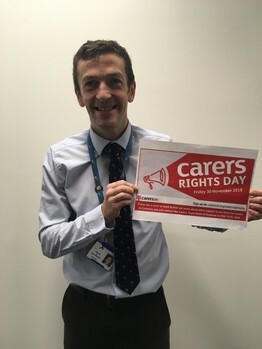 We are supporting Carers Rights Day because many carers do not know what their rights are, where to seek out support or even sometimes that they are a carer. Carers Rights Day is about recognising the important role carers play and how valued they are in Coventry”. Coventry Carer Wellbeing Service is free and confidential and aims to ensure that carers are supported in every way possible so that they are able to take on their caring role while maintaining their own wellbeing. This support can include offering a Carer's Assessment, identifying training to help carers in their caring role and providing up-to-date information about local services and how to access them. In November 2018 the Adults National Principal Social Worker Network is supporting a ‘Call to Action’ recognising the amazing work that Carers do, not just in this month but every day of year. The Network wanted organisations to take time to organise events and activities in support of the contribution made by those who care for others. As part of this process we've collated blogs from practitioners who work with carers on a day to day basis. To read the blogs you can visit our page. The Principal Social Worker Network supports the on-going practice development of social care staff, they work regionally to share good practice, arrange practice development opportunities for staff and undertake campaigns and awareness raising activity. The Carers Trust Heart of England are partnering up with agencies across Coventry. For more details contact us on 024 7610 1040 option 3 or pop into the Carers Centre in the Central Library, Smithford Way Coventry CV1 1FY. The Carers Trust Heart of England are running a number of taster sessions, starting in December and running through to the New Year. All groups are FREE and designed to provide carers with knowledge and skills to support on a day to day basis. These are facilitated sessions, in which carers can exchange ideas, coping strategies and frustrations, plus discuss issues with people in a similar situation to yourself. To find out more about the sessions you can contact the Carers Trust Heart of England on 024 7686 1040 Option 3. Although socks, slippers and chocolates rarely go amiss, these are a few gift ideas for people living with dementia. Most can be purchased, but many can be put together at home. Reminiscence gifts – gifts that tap into memories can be a great way of starting meaningful conversations. This could be through a life story book, a memory box, themed memorabilia cards and picture books. Whether it’s ‘Carols from Kings’ or the ‘Best of Motorhead’, music can often help people with dementia to relax, communicate and feel good. You could even create a playlist of favourite songs to start the fun over the festive period. 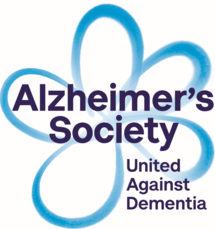 Activity gifts – items such as jigsaws, crafting packs and colouring books can be mentally stimulating for people with dementia. They can also create some quiet time over what can be an overwhelming time of year. If the family are all coming round, try out traditional games and quizzes. There are also dementia friendly versions of a number of board games plus more interactive games such as ‘call to mind’ and the ‘throw and tell’ ball. Comforting gifts - objects aimed at sensory occupation and relaxation can be both calming and comforting. There are interactive animal toys that have been created specifically for people with dementia, but soft toys and fiddle muffs can offer similar comfort. For more gifting ideas, Alzheimer’s Society’s online community Talking Point is a great place to share tips and join discussions with other carers. Thursday 13 December - 10am - 4pm - Winter for Carers Event at the Penny Collard Centre (see details above). Monday 17 December - 10am – 4pm - Winter for Carers Event at the Penny Collard Centre (see details above). Wednesday 19 December - Peter Pan at the Albany Theatre - a relaxed performance aimed at anyone who would benefit from a more relaxed theatre performance including adults with dementia and autism. Wednesday 19 December 2018 - 11am to 1pm - Taster Sessions at The Penny Collard Centre - Carers Training Sessions to book on.